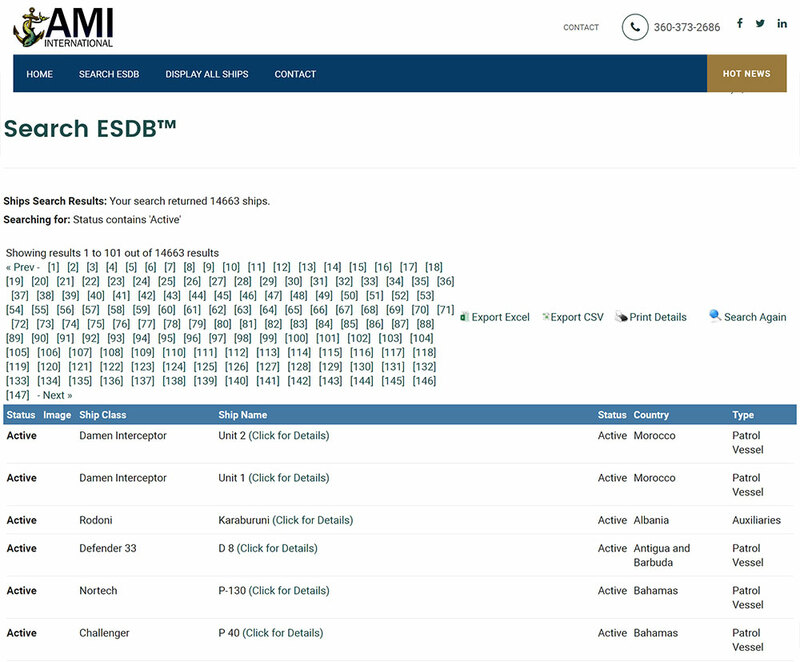 ESDB is an on-line searchable tool of over 12,000 existing naval, coast guard, customs and police vessels identified by country, ship name, class, vessel type and status (active, decommissioned, building, transfer). Identifying onboard equipment fit by ship class or individual unit. Pinpointing market trends over time by design, platform or system. Aged analysis of commissioning dates and expected service life. 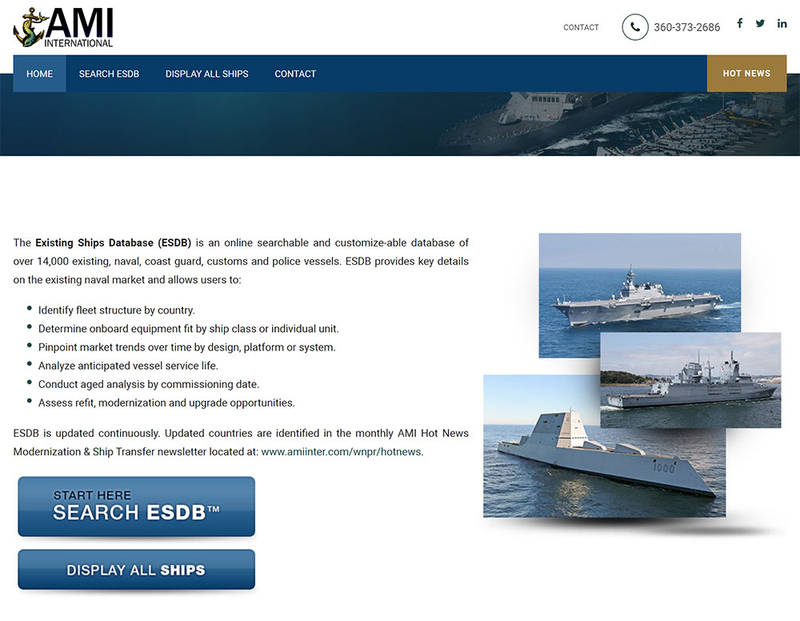 Anticipate upcoming refit, modernization or upgrade opportunities. 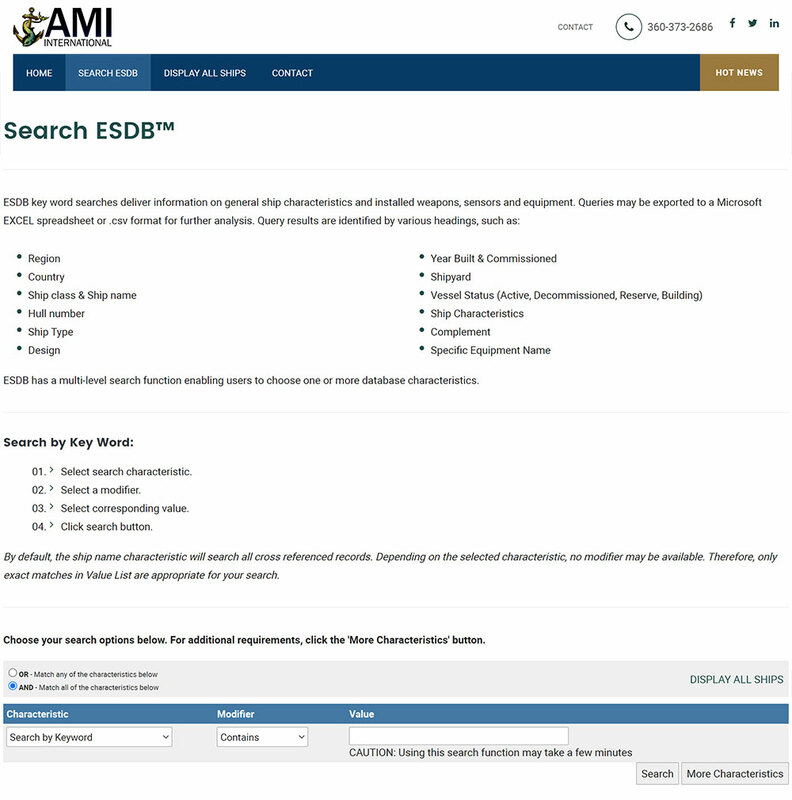 ESDB is continuously updated by AMI analysts. 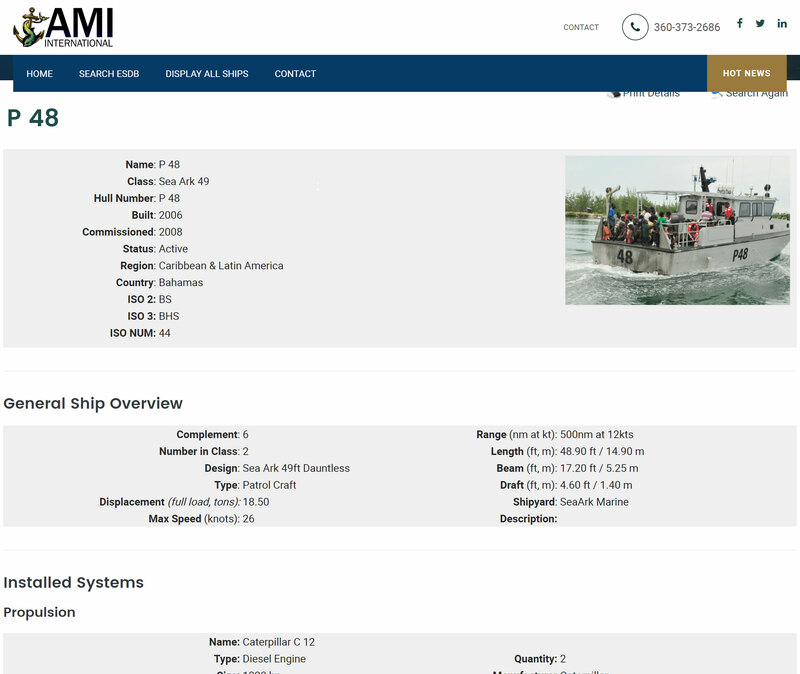 Notification of updates by country is announced monthly in AMI's Hot News - Modernization & Ship Transfer newsletter.